Waste of my money.Would not buy this item again. It looks nice but it is a piece of junk,when it rains it comes apart,they should have made it waterproof, and when the sun shines on it turns brown and breaks apart. Don't waste your money! It is not for outdoor use. These are so cute can’t wait to use them at our church Easter egg hunt!!!! To add to the stakes I got for Easter. Thought they were so cute. Hope the snow won't bury them. Wish these were around when my kids were little. They would have loved them. 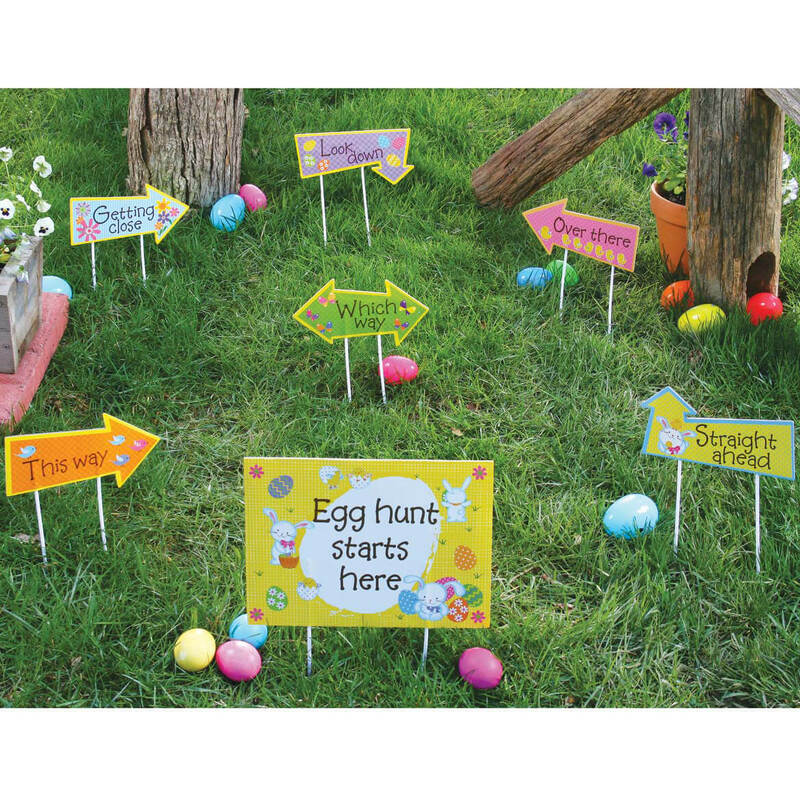 I have 2 Grandkids and I think it will make their Easter Egg Hunt more fun. Giving this to my church for the kids. This is to be used with the pre-school classes. I'm having an Easter Egg hunt for my great niece and nephew. Can't wait for them to see these huge eggs. It should be fun. I also bought the giant Easter eggs and the bunny ears. I'm looking forward to seeing their faces when I get everything laid out in the yard. 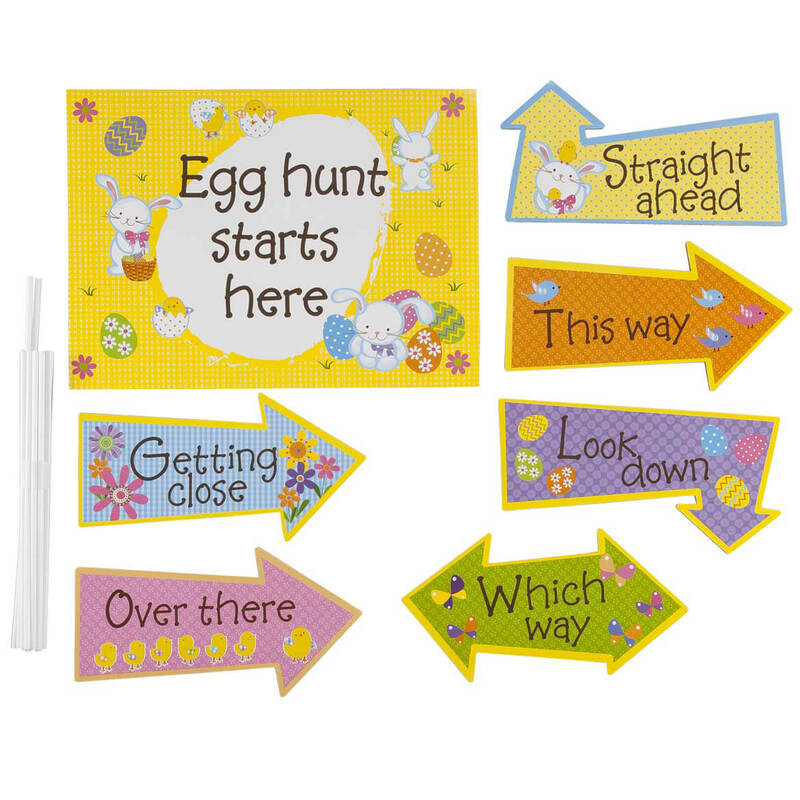 These signs add to the excitement of an Easter Egg Hunt!! I have small great grandchildren and thought it would help them in their hunt for eggs! BEST ANSWER: Thank you for your question. They are made of thick cardboard. We hope this information will be of help to you.